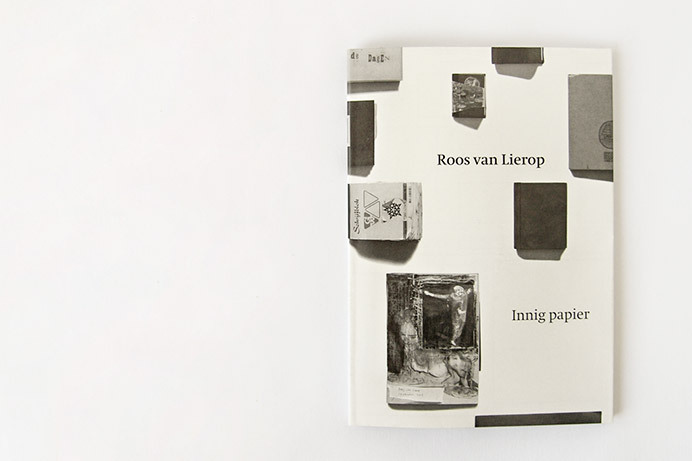 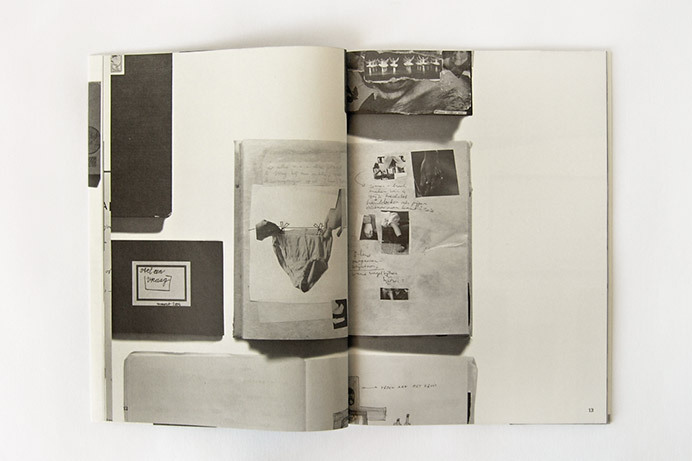 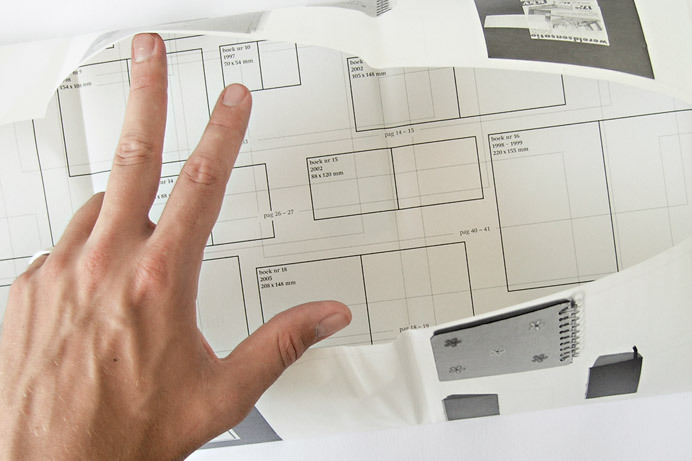 Intimate Paper (Innig papier) shows an overview on the work of the Dutch poet Roos van Lierop, who graduated at the Gerrit Rietveld Academie Amsterdam in June 2006. 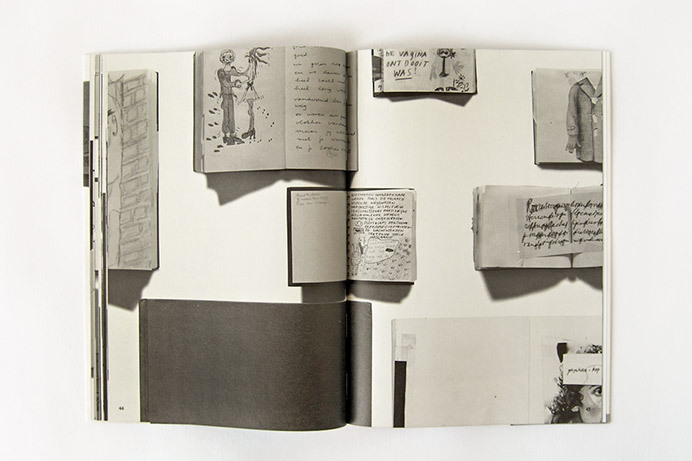 It contains 29 selected sketch books and diaries of the last 10 years. 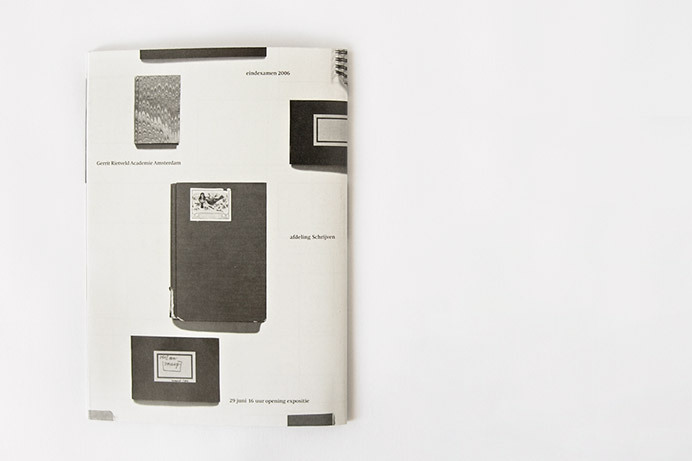 The interior of the dust jacket functions as a schematic table of contents. 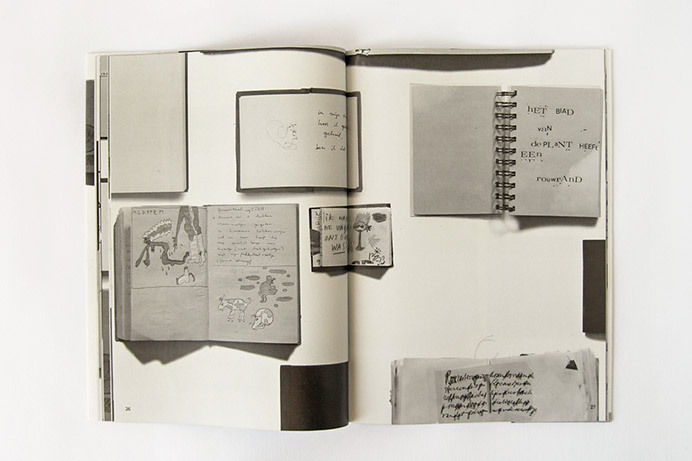 It is an overview of the artist’s journals, spread out over a surface. 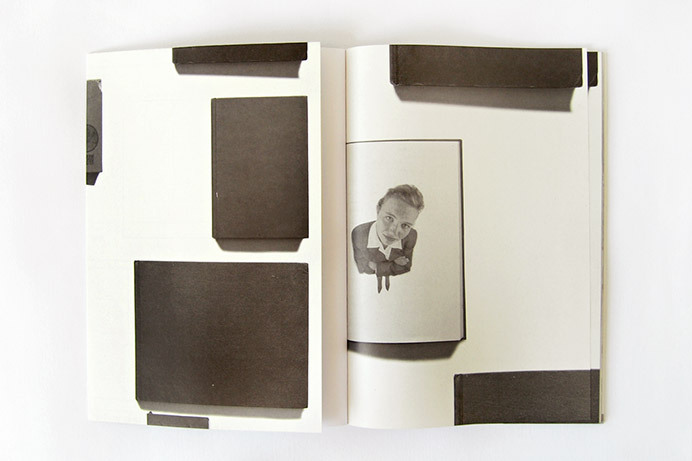 Black frames have been drawn over their outlines to indicate the overlapping sections of journals that are shown within the publication. 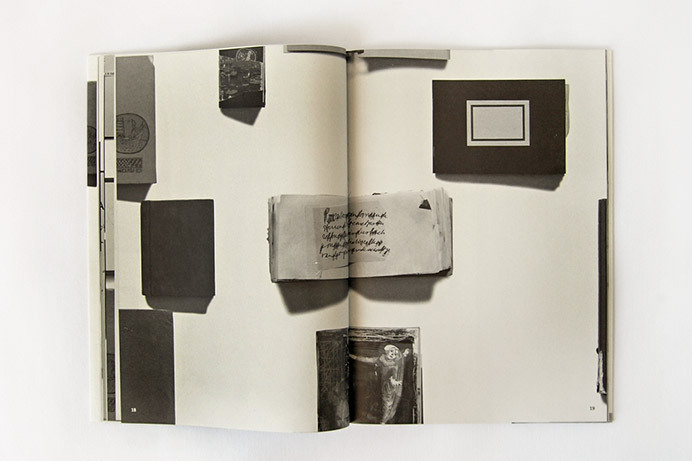 The page numbers indicated at the bottom of each frame index the book to a corresponding spread on the inside. 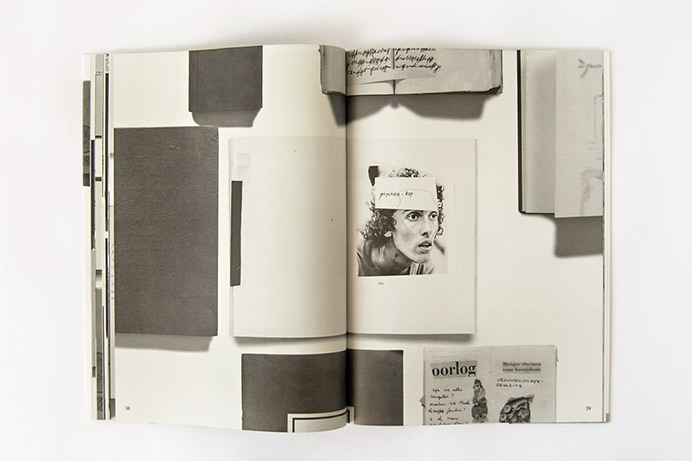 The design of the book contains a centered item on each open-faced double page, and neighbouring journals on the periphery. 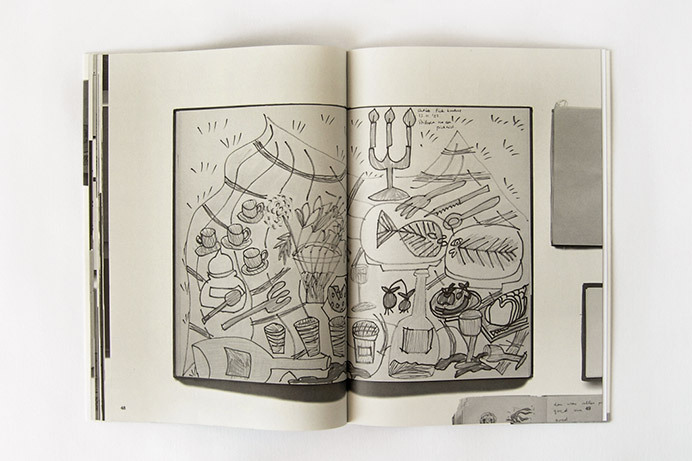 This allows the reader to make new connections and cross-references between the artist’s different pieces as he navigates through the bookscape. 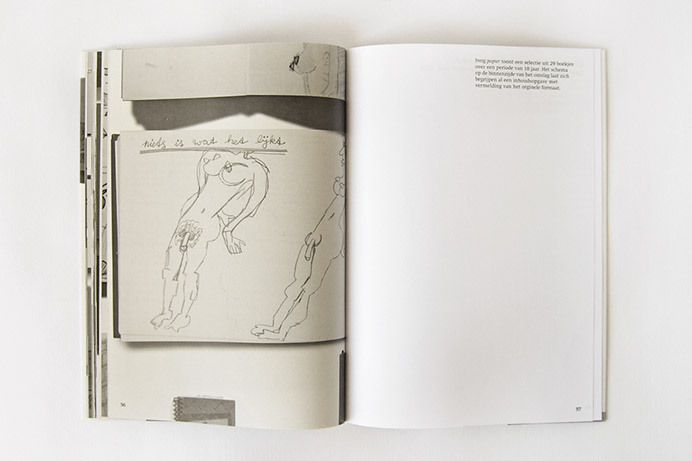 Intimate Paper begins with all the journals closed and further reveals their content. 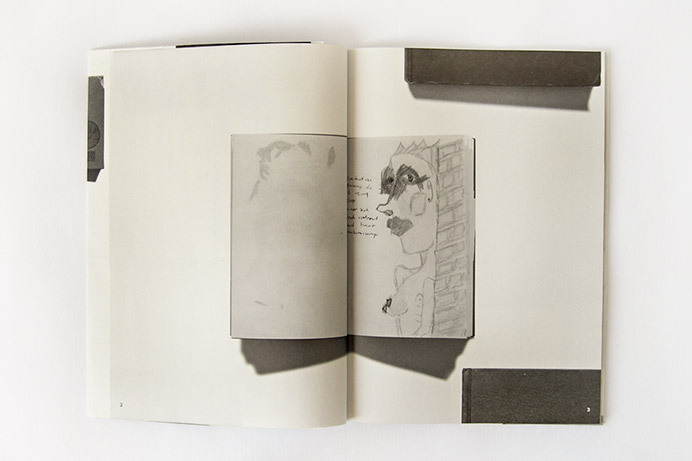 It is a process that leads the reader step by step to the artist’s immediate environment. 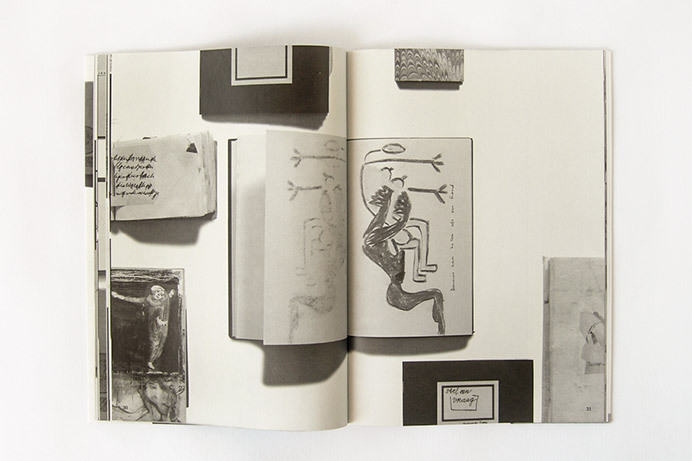 Check this link for a short report about the book launch.